FIRM INTRODUCTION UNITEC Civil consultants (PTY) LTD (UNITEC) is a Civil Engineering and Project Management Consulting firm registered with BRELA as a limited company, and also registered with Engineering Registration Board (ERB) as a Civil Engineering Consulting firm. The firm is involved in a number of infrastructure and building projects and is currently looking for personnel to fill a number of positions at its Head Office and project sites in different parts of the country. The successful applicants will be expected to join teams of highly skilled and competent individuals of different cultures and nationalities. The positions available and minimum qualification requirements are as indicated below. (i.) Undertake preliminary, detailed design and design reviews of buildings, bridges, tunnels, drainage structures, etc. • Minimum Work experience in design and supervision is ten (12) years, with at least five (7) years in design of structures, or five (5) years in design of bridges. • Strong oral and written communication skills along with the ability to work in a team environment, and presentations. • Site Supervision of structural works (buildings, bridges, etc. ), including attending project design meetings and coordination, etc. • Understanding of Bridge Design Codes by using BS 5400, or AREMA, or AASHTO, or EURO Code, etc. is necessary. • Experience in Engineering Design applications such as PROKON, MIDAS, etc. • Basic knowledge in drafting by using AutoCAD. (i.) Salary to be paid will be in line with Company policy and level of competence of the successful applicant. (ii.) Fully Serviced accommodation and transport shall be provided from one location to the other remote location throughout the project life. (i.) Assist the team Structural engineer to undertake design reviews including design reports reviews, review of drawings, schedules, etc. (iv.) Site inspections of structures including bridges, buildings, tunnels, etc. and preparation of inspection reports. For a large infrastructure project, the work will involve travelling from one location to the other remote location throughout the project life. • Minimum Work experience in design and supervision is eight (8) years, with at least five (3) years in design of structures, or two (2) years in design of bridges and or box culverts. • Site Supervision of structural works (buildings, bridges, etc. ), etc. • Registered as a Professional Engineer by ERB or any other national professional body, qualified to be registered by ERB. • Minimum Work experience in design and supervision is fifteen (15) years, with at least five (5) years in design of pavements and earthworks, including bituminous pavements. • Site Supervision of infrastructure projects (materials, pavements, etc. ), etc. • Registered as a Professional Engineer by ERB or any other national professional body, qualified to be registered by ERB. • Experience in Engineering Design applications. • Understanding of Design of Pavements by using Pavement and Materials Design Manual prepared by Tanzania Ministry of Works, AASHTO, PCI, etc. • Should be skilled in preparation of drawings by using Auto CAD. (i.) Provide project leadership including point of liaison between the Client and Project teams, Contractor's and other key stakeholders. • Minimum Work experience in design and supervision is fifteen (15) years, with at least ten (10) years in supervision of building projects as a Resident Engineer. • Registered as a Professional Engineer by ERB or any other equivalent professional body. (iii.) Field Inspections of geotechnical works including foundations, tunnel works, etc. (iv.) Work in a large infrastructure project, involving travelling from one location to other remote locations throughout the project life estimated at two (2) years. • Minimum Work experience in design and supervision of geotechnical engineering works seven (7) years. • Registered as a Professional Engineer by ERB or any other national professional body, or qualified to be registered by ERB. • Should be skilled in preparation of drawings by using AutoCAD. 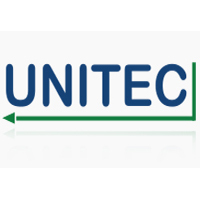 Email: jobs@unitec.co.tz before 17th May 2018.